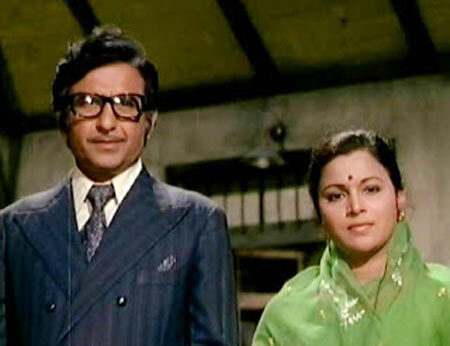 Like her veteran actor husband Ramesh Deo, Seema Deo has been in the business of movies for decades. In her long career, the 70-year-old actress has worked in over 150 Hindi films and over 75 Marathi films. She's best remembered for her films Anand, Majboor, Mard, Dream Girl, Koshish, Sarawatichandra, Jamai and Raja Roop Ki Raja Choron Ki Rani. She left films abruptly, and now, after a 10-year break, makes a return to showbiz. In fact, her comeback film was Jetaa (2010), directed by her actor son Ajinkya. Her younger son Abhinav is also a director of films like Game and Delhi Belly. Sitting in her plush see-facing flat in Versova, a western suburb of Mumbai, Seema chats animatedly with Patcy N about her career in films, and the movie legends she's shared the screen with. I had seen Sujata seven times. Nutan was my favourite heroine. I asked the man are you sure the call is for me and not Nanda? He said, no, it is for you. When I answered the call, the man on the other side said he was Piramal and he asked me to come and meet Bimalda immediately. I was shooting, so I went and told Joglekarsaab that I had got a call from Bimal Roy's office to come just now, but how could I go when I was shooting here. Joglekarsaab said, 'Are you mad? Leave immediately and take my car. You cannot miss this opportunity.' So I left. He asked me which was my last Marathi film and I said, Jagachya Pathivar. He asked who had directed it. 'Raja Paranjpe, he is my guru,' I replied. That is how I got my first big role in Hindi films. The film had Shashi Kapoor, Sadhana and me in the lead roles. It was the story of a love triangle. I signed the contract for Rs 5,000 and got an advance of Rs 500. I did lots of films as a character actor but after some time, I started getting mother roles and I flourished in that too. When Hrishida (Hrishikesh Mukherjee) thought of doing Anand, he had signed Ramesh Deo. I had met Hrishida before my marriage, at a film premiere, and had told him I wanted to work with him. He had said that some day we will work together. Rameshji said, 'She is not fat but, yes, she has put on some weight'. When I went on the sets, Hrishida said there was no need of any test, but I would have to wear a nine-yard sari. The shoot started with the wedding anniversary of Rameshji and my characters. Rameshji and I were ready and waiting. Amitabh (Bachchan) was nothing at that time. He was also waiting. I asked Rameshji, this guy wants to become an actor? He is so tall and thin, he looks like a giraffe. Rajesh Khanna was a great artiste but he never came on time. We were all ready with make-up from 10 am and he came at 2 pm with a big box of sweets that his driver distributed to everyone. Rajesh Khanna caught his ear and promised he would come on time and the shooting started. After pack-up, Dada told Rajesh Khanna, 'Tomorrow you will come sharp at 8:30am. If you are going to come at 2 pm tell me first. I will call everybody else also at 2.' He promised to come on time but came at 1:30pm the next day. But once he came on the sets, he was the best. There was no need to do any make-up, he had such a good colour that if you rubbed his cheeks he would turn pink and looked so good. Once he started acting, everyone would forget his late coming, he was so good. He couldn't remember the lyrics of any song, so there would be a prompter sitting on the sets to tell him the lyrics; he would listen to each line and then lip synch it, but no one realised this. Amitabh always came on time and good with his work. He did that scene so well that I went out of the shooting field and started crying (there are tears in her eyes as she recounts this now). Like he said in the movie, in real life also he died of cancer. There was a time when there were seven different films of Rajesh Khanna playing in the theatres at the same time. All were hits. I met him two years ago at a Marathi function to felicitate him. When I saw him, I had tears in my eyes. He looked so sick and frail, he was wearing pyjama and kurta and an old red sweater, and his hair colour was red too. He came and sat beside me and asked me, 'Kaisi ho, Bhabhi.' At that time, I did not know he had cancer. Seven days before he died, Rameshji said we should go and meet him. I said I can't see him in this state, you go and meet him, just the way I'd said in Anand. Rajesh Khanna was admitted to hospital twice but it was his last wish to die at home. He also wanted his funeral to be grand. He had said, 'Mera funeral raja ki tarah karna' and Akshay Kumar (Khanna's son-in-law) did that. My last film was Roop Ki Rani Choron Ka Raja (1993), where I played the mother of Anil (Kapoor) and Jackie (Shroff). Dalip Tahil played my husband. I told everyone at home that I have a very good and long role in the film and so naturally everyone went to see the film. Throughout the film, I was searching for myself in the film. I had just three shots in the film. In one scene, my husband dies so I am holding both my sons and standing. In one shot, I am travelling in a taxi, and the third was a close-up shot. All the rest was edited and removed from the film because they wanted to add Sridevi's dance number. She was dating Boney (Kapoor, the film's producer) at the time. I was so angry because I had shot till late at night on so many days and it had no value. I am a very calm person but when I get angry, I take drastic steps. Therefore after Roop Ki Rani Choron Ka Raja, I gave up acting. My husband was angry with my decision as I was giving up a good career but I did not change my mind and took a long sabbatical. When I was on sabbatical, I was getting lots of offers. K C Bokadia called me for work. Even Ajay Devgn told Ajinkya (her son) to ask me to work in Hindustan Ki Kasam as his mother. But now I am open for work. I did Jetaa directed by Ajinkya, Dubhang by Mahesh Kothare and Paool Vaat directed by Aditya Ingle. I want to work in Hindi films too. I don't like doing television serials because it eats up your whole day: you have to be on the set from morning to evening. I don't watch Hindi serials because of the way the characters are portrayed. Marathi serials are going the same way; they show actors wearing rich saris and jewellery and even sleeping in them. It's not possible. I don't like all that because I am from the Raja Paranjpe school of acting, he was my guru. You should watch my movie Jagachya Pathivar, directed by Raja Paranjpe. I was 17 then. I did the role of a blind girl. I am blinded by a goon so that I can dance and beg for him. In those days, I did not even look good. I was very thin and frail. Raja Paranjpe taught me acting in that film. Before Jagachya Pathivar, I had done six films and in all the six films I acted according to whatever I understood. I was a really bad actor then. I entered the film industry when I was 15 years old; today I am 70. I am a GSB (Goud Saraswat Brahmin) from Karnataka. I was born and brought up in Mumbai. My real name is Nalini Saraf. An astrologer told me if I start my name with S, I will get success, so I changed my name to Seema. My father had passed away and we were four kids (three sisters and one brother). My mother's mother and sister also lived with us, and all seven of us lived in a 12 by 14 feet small house in a chawl in Girgaum (South Mumbai). My mother was the only earning member. She taught embroidery and worked for a sewing machine company, giving demos to people on how to do embroidery on the machine. She worked from 8 am to 8 pm, wore a nine-yard sari, drank one cup of tea and travelled the whole day wherever she was called to give the demo. I used to feel bad for her. I had learned Kathak, Bharat Natayam, and folk dances. I would earn Rs 5-10 dancing at Ganpati functions. I joined the Bharati Vidya Bhavan to learn ballet along with Asha Parekh and Kanak Rele. One day Ibrahim Nadiadwala came to watch our ballet Noorejehan as he knew Asha Parekh's mom Sudhaben. He was making a Hindi film Ayodhapati, and wanted a girl for Sita's character. My mother did not say anything as she was very timid, so I had to take the decision. I said yes. On the sets, all three of Dasrath's wives were sitting on the throne. 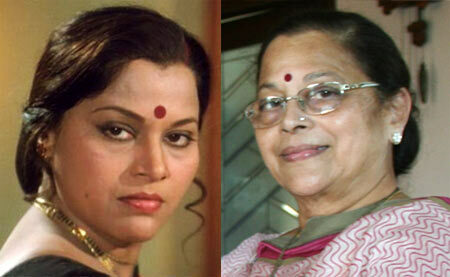 Achala Sachdev played Kaushalya, Usha Kiran played Kaikaiyee, and Ratna Mala played Sumitra. I just watched them and observed how they performed. When I was called for my shot, I did not have a single line I had to just stand and I got Rs 500 for that. I came to know that Filmistan had started doing Marathi films. I did not know where in Goregoan (a western Mumbai suburb) it was. I boarded the train from Charni Road (South Mumbai) with my mother and at the next station Grant Road, Ramesh Deo entered the train. I told my mother he is a Marathi villain, let's follow him as he must be going to the same place. We got down at Goregoan station and followed him and he went to the same studio. I met the owner of Filmistan, Tolaram Jalan, who asked me whether I had worked before. I had worked in Ayodhapati but had no dialogues. Still, I said 'Yes.' He told me it will be a three Marathi film contract and for all the three films, I will be paid a monthly salary of Rs 400. Even if there is no scene to be shot on that day, I had to come and sign the muster. I agreed and we were both very happy. The next day when I went for the shoot, I was called to Jalansaab's office. Somebody had asked Jalansaab why he was paying me Rs 400 when I was a relatively new girl and should be paid Rs 200. He told me he can't give me more than Rs 200. I was upset but was in need of money, and wanted to help my mother so I agreed. I was very bad in all the three films that I did at the start of my career. I looked bad and acted badly. 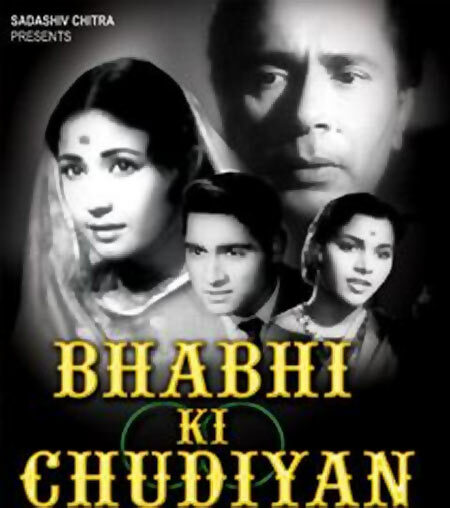 In the first film, Aliya Bhogasi, Ramesh Deo played my brother. He did not work in the second film and in the third film he played a pimp. After that, I decided I am not going to work in Filmistan. One day, I met a person who asked me to meet cameraman V Avdhoot (V Shantaram's brother) who was going to direct a film and needed a girl. When Avdhootsaab -- we called him Bhau (brother in Marathi) -- saw me, he said I fit the role and offered me the film Gyanba Tukaram. I felt bad and I thought if I am removed and someone else gets the role no one will approach me for any other film. So I decided I will do it somehow. I asked for some time. I went to the owner of the oxen and asked him how he makes them move as he also looked very thin and frail! He showed me the trick -- he told me to pat the ox on its back and it will start moving. I told Bhau we will first do a trial. I did it right and everyone started clapping. Soon, I started getting more movies but I needed a guru who could teach me acting because even after six films, I was raw. Everybody told me Raja Paranjpe is a very good actor and director and I always dreamt of working with him. I read in a magazine that Raja Paranjpe was making a film Jagachya Pathivar and the heroine was Nalini Jaywant. The next week's issue had some other actress doing the same film. I knew I had no chance. Then one Diwali day when I returned from shopping, I saw Raja Paranjpe and his assistant sitting in my house. My house was very small with just two chairs, a table and a cot -- that was the only furniture in the house. I said, yes, I have read about it. He told me it is a role of a blind girl, but the Marathi film industry doesn't have that much money that he can buy lenses for the role. I told him no problem, if you teach me, I will do my best. We rehearsed at the house of Sudhir Phadke, the music director. We shot most of the film in Central Studio in Tardeo (central Mumbai). I remember my first day of shooting. I did my make-up -- I was 17 and at that age, everyone wants to look good so I had make-up and my hair was all done, and when I asked for the costume, I was given a tattered patch-work ghagra, blouse and torn duppatta. Raja Paranjpe told him that my character was a blind beggar, and couldn't have make-up. So I had to remove the remove the make-up. I have done many films with him.